If I had to sum up my training methods in 2 words, it would be Biomechanics and Power. Anyone can hammer a spike into the ground with a large sledgehammer (or hit the bell at a Carnival or Amusement Park game). Now, what if I asked you to do it while travelling at 25mph or 12m/s? Ahh, it’s much harder, isn’t it? Lastly, what if I ask you to break the handle into 4 pieces and use 3 joints to join them as a single unit? What would be the proper angle when striking the ground, and moving at 25mph? 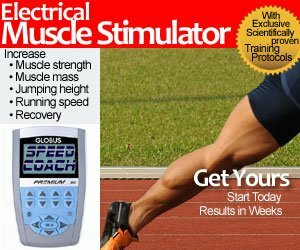 This is exactly what happens to your body during acceleration and maximum velocity. I’ve covered the famous term Triple Extension several times, which is the hip extension from the glutes, knee extension from the quadriceps and ankle extension from the calves. Three joints, four segments. When you consider in the 100m sprint, you only take about 45 strides. That’s 45 ground contacts. There’s nothing you can do force wise while you are airborne, which means there better be some significant power in the ground contact. But what you can do is place your body in the best biomechanically position for that next max force. That’s why I stress biomechanics so religiously, even in the warm-ups and drills. This leads me to my second point, and that is power. In a way, a 100 meter sprint is like doing 45 large bounds… 45 explosive plyometric movements. I’m oversimplifying here, but there are three muscle actions in an explosive movement: the concentric phase, the transition or amortization phase, and the eccentric phase. Explosive plyometric training will help your speed work because of the body’s need to reduce the duration of the amortization phase of a movement. Sprinting with its 45 strides in the 100 meters also has an amortization phase with every stride. The two movements are related. You could do 45 big step bounds, but the drawback is you will cover ground faster with 45 sprinting strides. And covering ground as fast as possible is what wins medals in a sprint race. Time over distance. Enough of the lecture… what exercises do I incorporate in my training plan? All the above require you to spend the least amount of time possible in contact with the ground between steps. Every step or ground contact is quick. Every step is explosive. Nothing can replace real sprinting to run faster, but we hope the power gained from the exercises above will translate to the track. 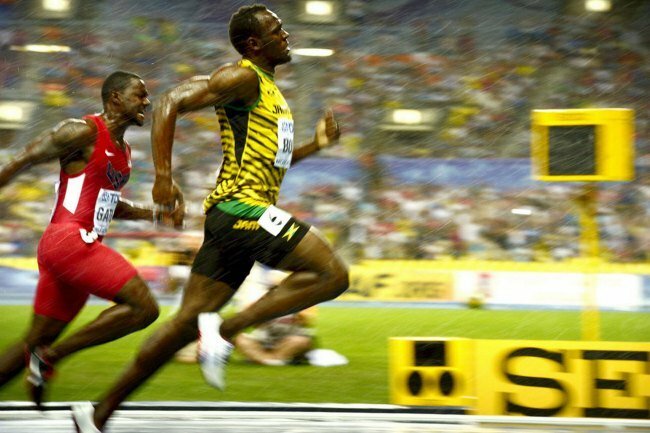 By decreasing the amount of time your body is in transition from one phase to the next (concentric-amortization-eccentric), it will increase the speed of your movements in covering ground during a sprint event. If it doesn’t, well, we just look damn impressive during track practice.